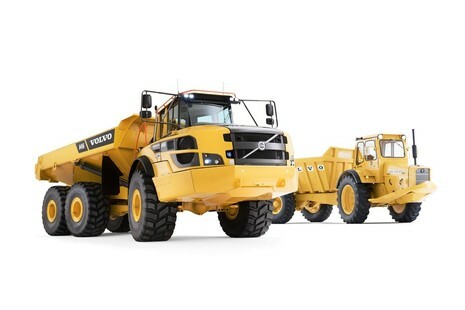 BLH Nobel has in cooperation with Volvo Construction Equipment developed a state-of-the-art onboard weighing system. BLH Nobel delivers amplifier and load cells that are being produced in Degerfors, Sweden. The system is currently used as an option on Volvo CE’s articulated haulers, and as market standard in some regions the world market. On Board Weighing is a Volvo designed system, measuring transported load and together with fuel consumption data, help show the true productivity of the machine, combining fuel efficiency with tonnes of mass moved. The OBW system also offers the ability to unlock a wealth of previously inaccessible information, such as the weight of ‘carry-back’ left in the haul body after dumping. Load data can also be accessed remotely via telematics system, which provides complete payload management with a modern and user-friendly interface. During loading, the loading unit gets information via the load indicator lights, mounted on the outside of the machine, to reach nominal load as well as to warn for overloading, preventing machine wear, tire damage and excess fuel consumption caused by that. The OBW is fully automatic without the need of human intervention.